He was one of my first students. A tiny five year old who we all recognized as having potential – I mean look at those bright eyes! He was younger than the rest of the class but was allowed to join us because of his natural artistic ability. As I got to know him, I also was learning as an orphanage volunteer, about the world of adoption, and about kids with special needs – specifically boys. I wondered why he wasn’t being adopted. I was told he was un-adoptable. My heart broke for him. 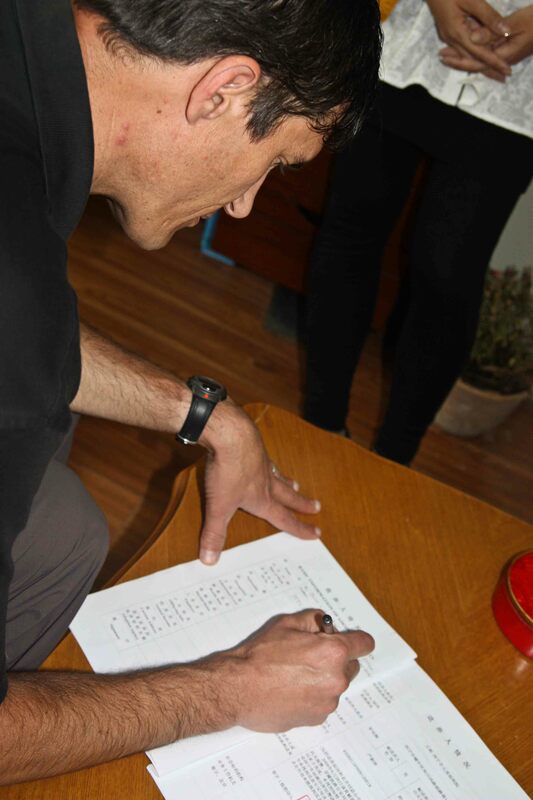 Two years later the orphanage director decided to give him a chance and began the process of preparing his paperwork. It will be a sleepless night that I will never forget. I got the email saying his paperwork would be done at the end of the summer. I tossed and turned through the night as the grave reality hit me. A seven year old boy finally given a chance, but how often do you hear of a family able and willing to take a chance on an older special needs boy. Last night, I tossed and turned again. It will be a sleepless night that I will always remember. This time it was not prayer of anguish on behalf of a boy without a family, rather I was awake excitedly saying a heartfelt prayer of thanksgiving. 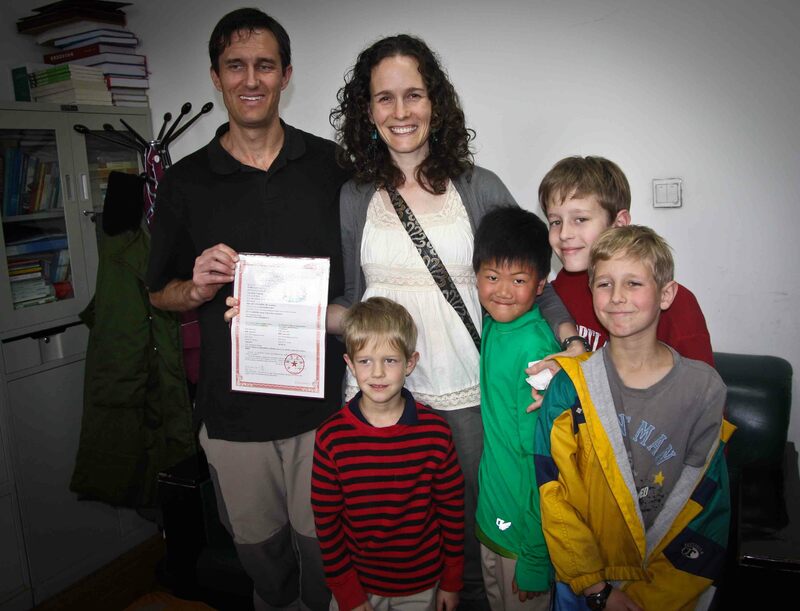 I knew in the morning there would be less one orphan – and not just any orphan – my favorite student now has a family!! Last night, I was so excited I couldn’t sleep giving thanks for what was coming. Can I just type that one more time….just so you understand the depth of my excitement, utter joy and unbelievable relief?! He was chosen. He was adopted. It is forever. Let me introduce you to Luke (his new english name!) He is an amazing artist who is so very smart. 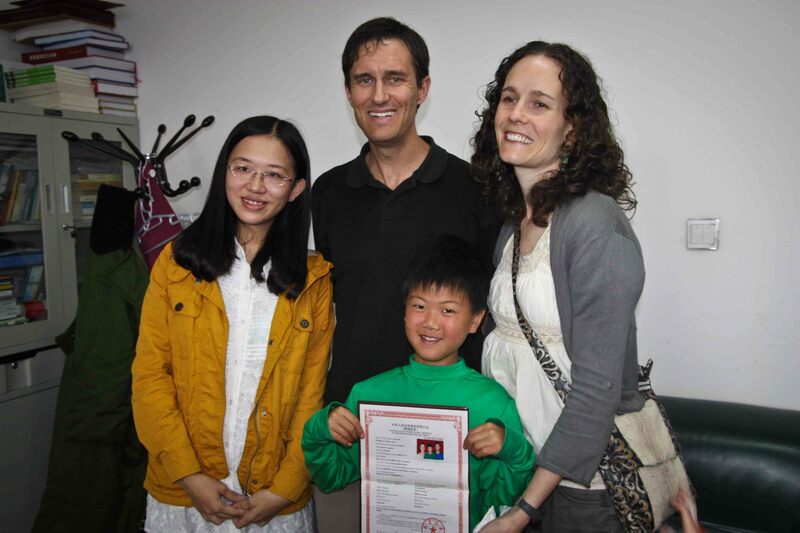 While living this past year with his foster family,who now is his forever family, he learned English and caught up to his peers at the international school. Watching him roll and tumble with his brothers and running around at school, you seriously would have thought he has been there forever. Now forever is possible. Luke is the poster child of older adoption. You can not see my tears through the photos I took. But they are there. I couldn’t hold them back. Just one or two slipping from the corner of my eye as I captured the grin of a boy who now has a last name and a family who has been blessed immeasurably by another son. It will be a moment this art teacher treasures in her heart…right up there with my wedding day, the births and adoption days of my own four children. I think I might just carry this photo around in my art bag from now on as a reminder that there is hope. 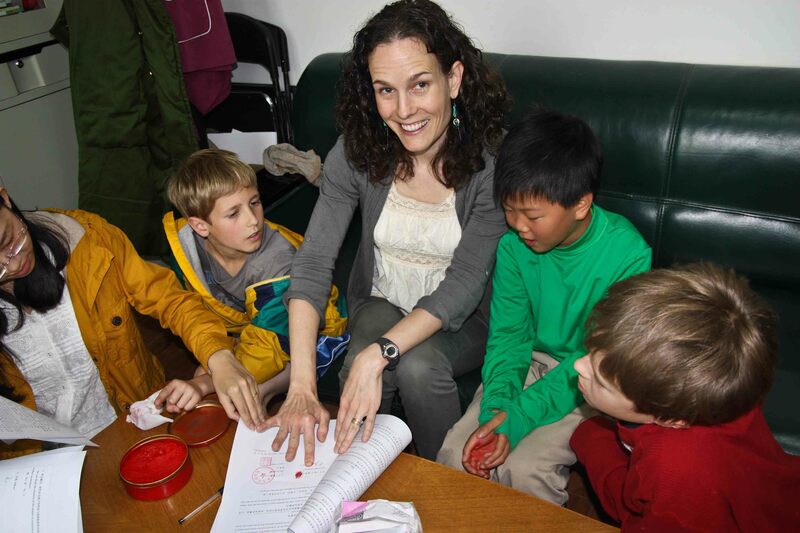 When I returned to China to teach at the orphanage, I fell in love again – with a different seven year old boy named Renny. I thought of him this morning as I took pictures of Luke. Maybe you are a part of the hope that needs to be extended to Renny. He is cute as a button, loves learning and has mild CP. 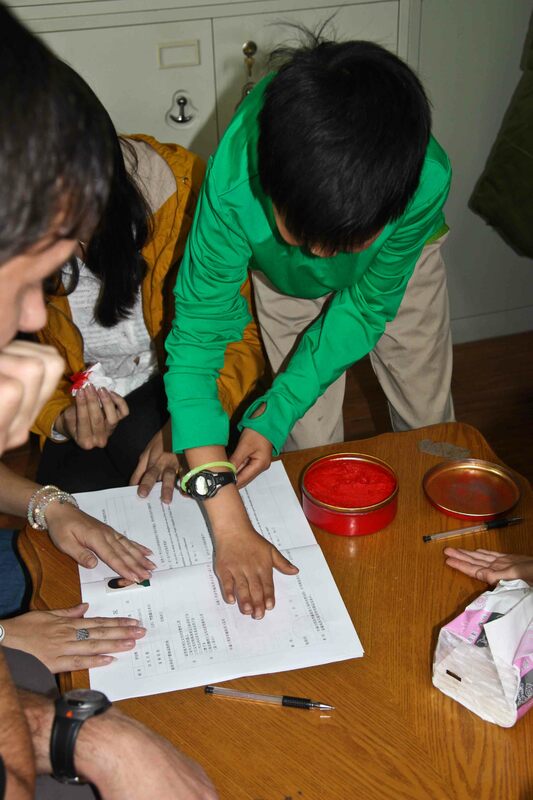 In China he isn’t allowed to go to public school because of his disability. He needs a family so that he can have hope and a future. His adoption paperwork is completed and waits to be chosen. You can contact Annie Hamlin with Lifeline Children’s Services and ask to view Renny’s file to consider adopting him. Click here to email her. 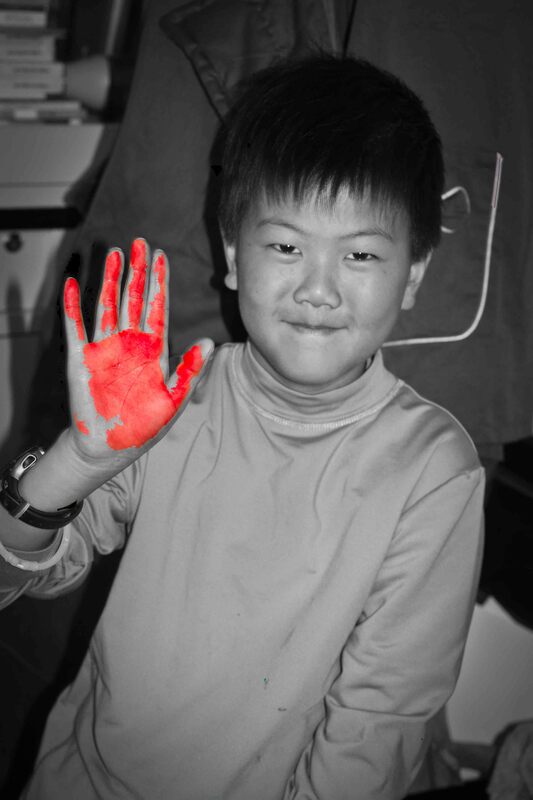 Maybe Renny isn’t a match for your family, but God is calling you to be hope for one of the other 1393 boys who are right now on the waiting list to be adopted from China. That isn’t counting the girls who wait…..in total there are about 1831 children currently waiting on the shared list which means anyone can adopt them. (Did you catch that?! 1393 boys and 438 girls. That is a sad statistic for a different blog post!) There are even more children who wait in orphanages without paperwork and even more who are assigned to specific agencies. It is staggering….but not hopeless. Happy family day to the Tompkins family! Thank you for being willing to step out in faith and for giving this art teacher hope! Look at the grin on that boy’s face. Nothing else needs to be said!